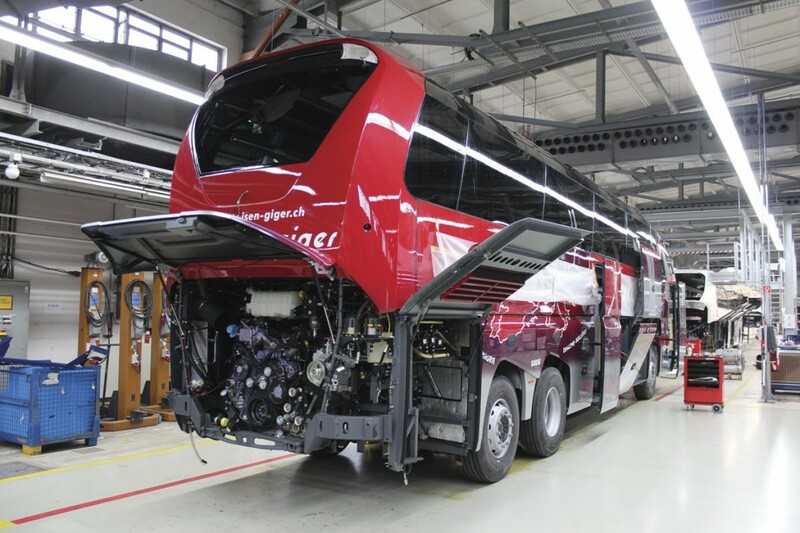 German manufacturers have a strong position in the UK market, as they do throughout Europe and beyond, but with the advent of Euro6 there is only one integral coach physically constructed in Germany offered in the UK and that is the Neoplan Starliner. 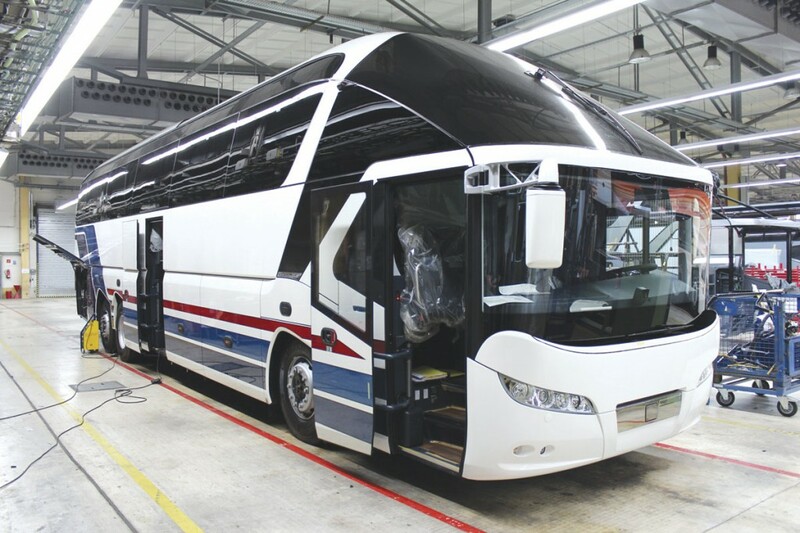 At a time when other manufacturers have sometimes been reluctant to make their flagship models available in right hand drive, Neoplan not only came to the UK market with the second generation 13.99m Starliner P12 in 2009, it as since followed up with the shorter length 12.99m P11 model so that there are now two different length options. I’ve long been promised a return visit to Plauen, having first been there with the late Chris Lavin of Mentor in the mid 1990s when the first Javelin GX based Transliners were being produced. The opportunity recently presented itself to join MAN’s Head of UK Bus & Coach, Ian Mclean; Stefan Kalk, Country Manager for UK, Ireland and the Benelux countries; Sales Executive, David Gregory and MD of Parrys International, Dave Parry, on a trip arranged to enable Dave to inspect his three new 13.99m Starliner P12s before their despatch to the UK. Plauen is located in the former East Germany. In vehicle terms, the town’s manufacturing origins could not be further removed from the magnificent machinery now manufactured because VOMAG, also known for its knitting machines, first built buses there in 1919. 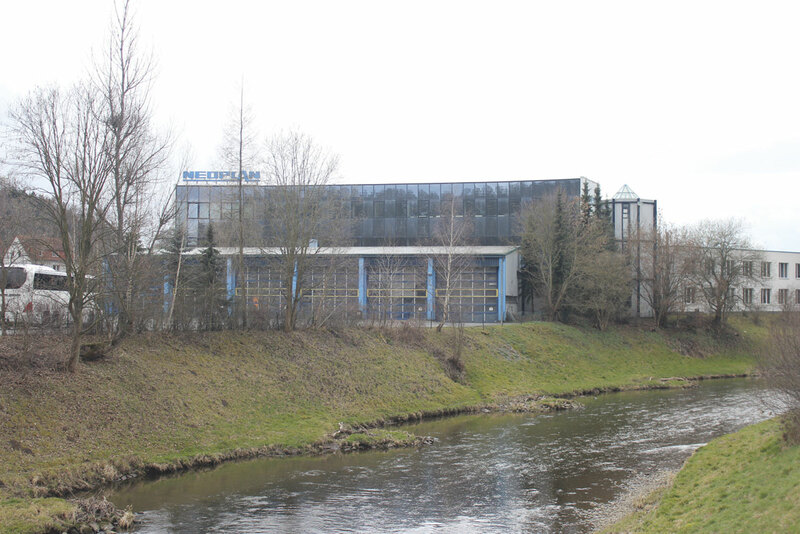 The current site next to the River Elster became the base in 1923. Subsequently it was used by Ikarus as a remanufacturing centre for service buses. At six, 12 and 18 years it would completely strip them down to their frames and rebuild them for continued service. A new paint facility was erected in 1973. 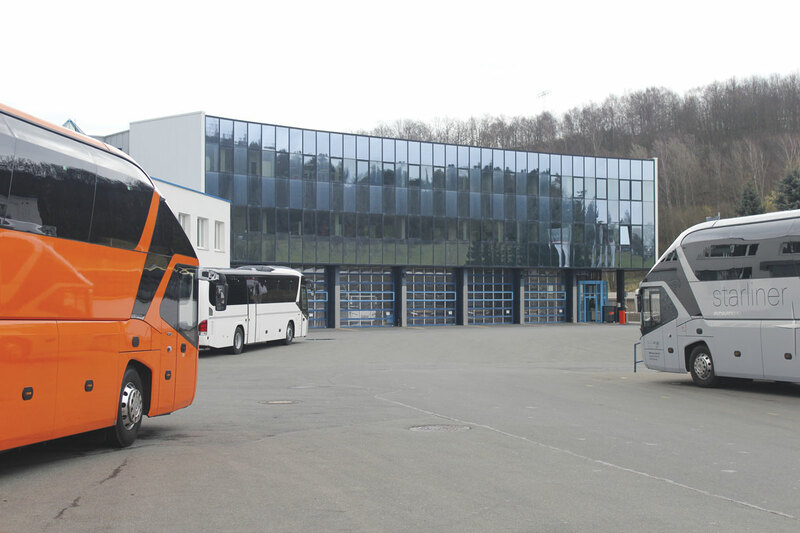 Neoplan started collaborating in 1990 and acquired the operation in 1991 forming Neoplan Omnibus Gmbh Plauen, when the parent company was still independent. Initially, it was used to build the entry level Transliner range, which was less highly specified than the Transliner coach offered in the UK. 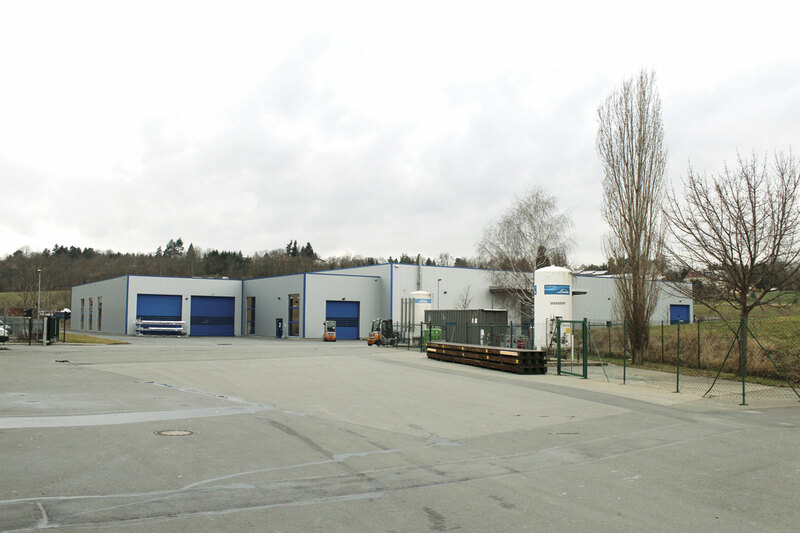 The only one of the manufacturing facilities MAN inherited from Neoplan at the time of the takeover that still builds buses and coaches is Plauen. 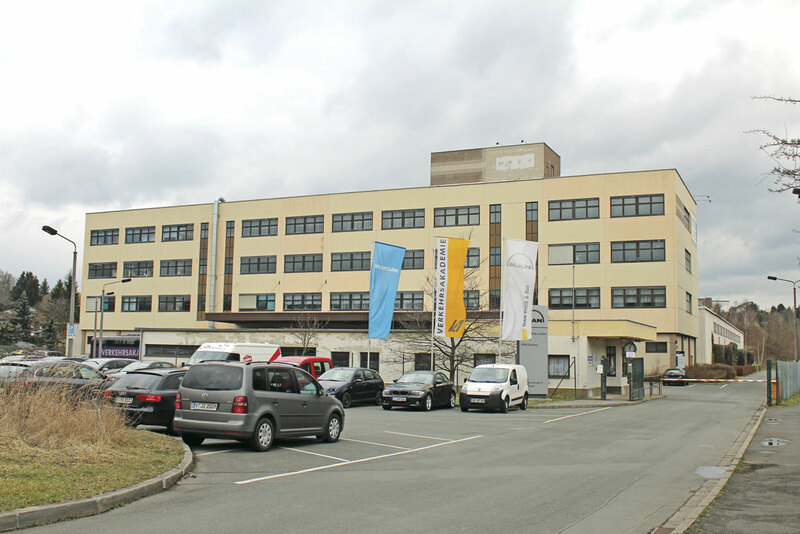 Stuttgart is a housing development and with the sad demise of the Viseon concern last year the Pilsting facility, where the Skyliner was being built under licence, has also closed. 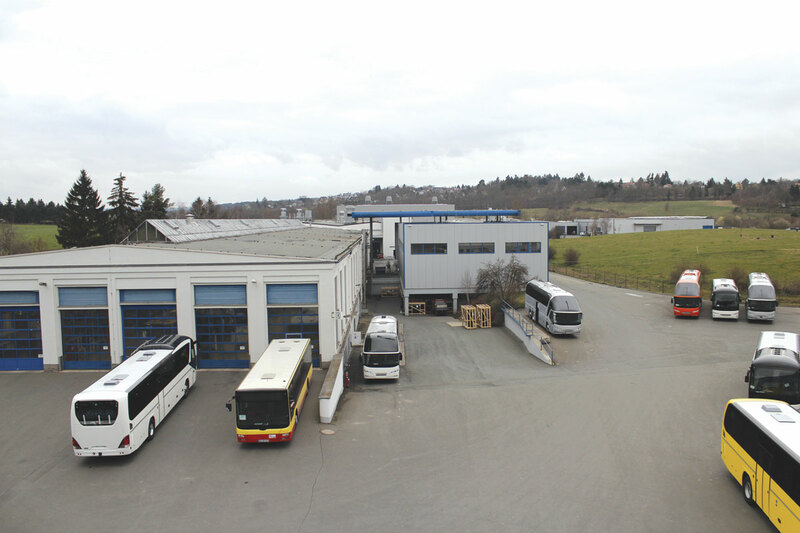 Plauen does not build all of the models in the Neoplan range because the Tourliner is manufactured at Ankara in Turkey, where a new catophoretic dip facility has just been installed. Incidentally, the UK was the second largest market behind Turkey for the Tourliner in 2013. 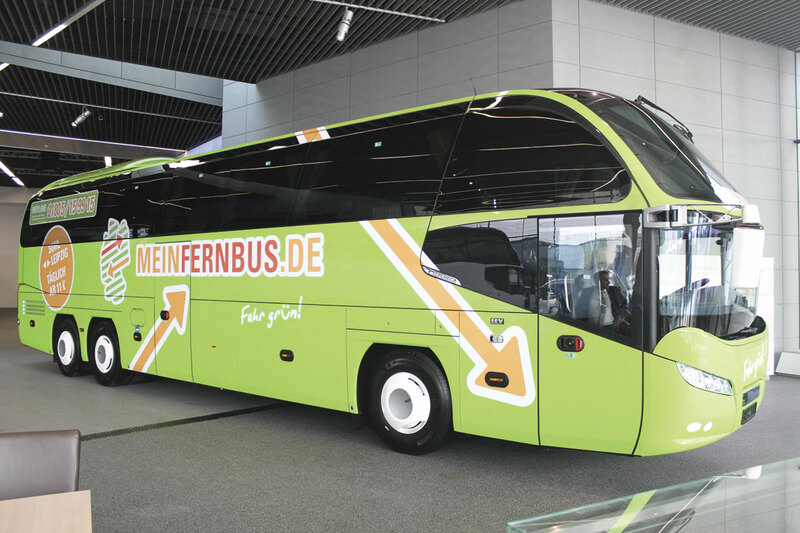 Plauen’s flexibility is evidenced by the huge range of Neoplan products it has built in its time. When I first went there in the 1990s it was producing the Transliner body on Dennis Javelin GX and MAN chassis as well as the carbon fibre structured Carbonliner MIC midibus with all manner of advanced hybrid drive systems, well in advance of the current trend for them. There was even a fuel cell bus as early as 1998. Other models produced there during the 23 years since it became part of Neoplan include: the Euroliner, Cityliner and the integral version of the Transliner from the coach range; the Airliner airport apron bus; and a surprising number of double deck derivatives including not only the Skyliner, 4-axle Megaliner, bus specification Centroliner and a special design for Dubai, but also the MAN three-axle double deck design for Berlin, probably the most famous double deck customer in Europe outside the UK. 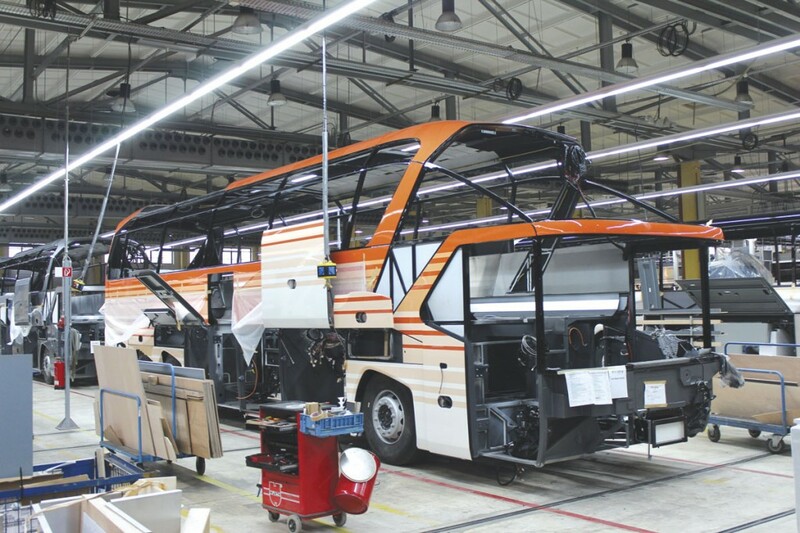 From time to time it has also built low floor buses, most recently to MAN designs in 2011-12. Today, Plauen not only builds the Starliner, it also manufactures the latest incarnation of the ever popular Cityliner range, with the Jetliner, a good old Neoplan name relaunched for a new generation at the IAA in 2012, the latest addition to the portfolio. Unfortunately, the Cityliner is only produced in left hand drive form. 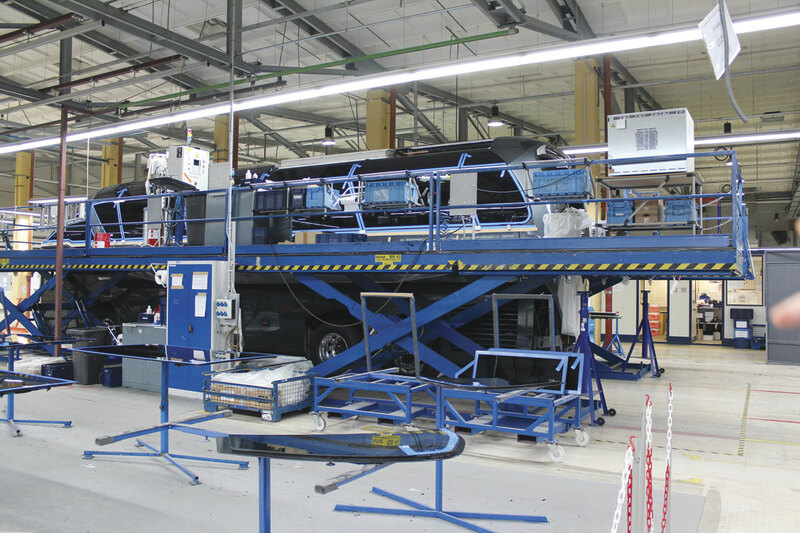 Although the capacity is around 900 vehicles annually, normal production is has been under 400 in recent years though it is expected to rise to around the 500 mark. 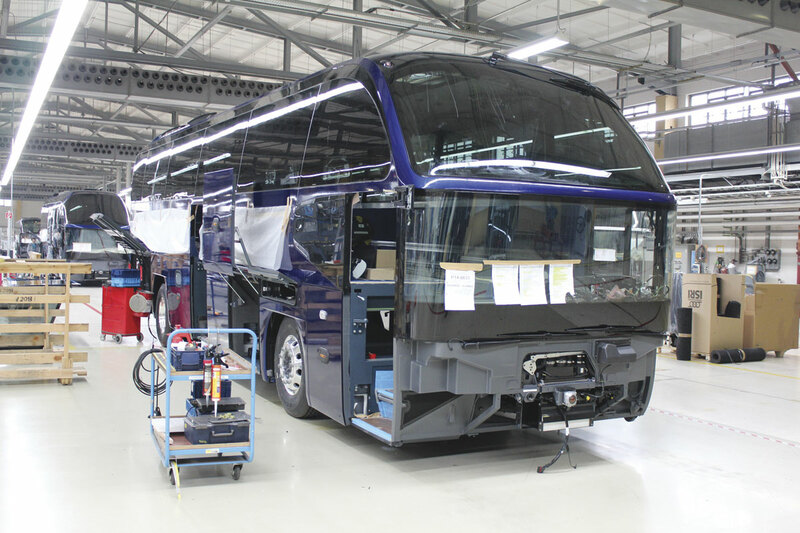 Apart from the Starliners already mentioned, the least three years have seen 704 Cityliners produced, along with 46 Jetliners and 59 other double deck and low floor models.